Following Part One and Part Two series posts, this one focuses on the transportation of supplies. Tom Griffin is the Operations Manager for transportation within Mayo Medical Laboratories. 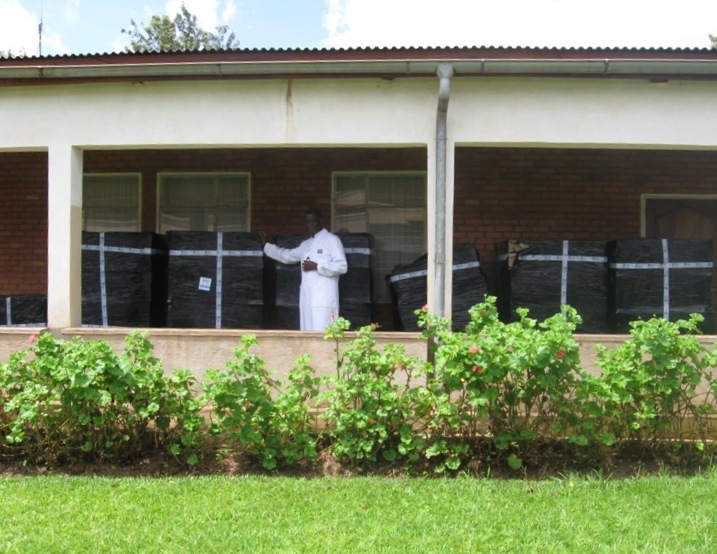 He was involved in helping Dr. Deborah Rhodes and her group members send the numerous medical supplies to Panzi Hospital in the Democratic Republic of the Congo. Tom talked of getting personally invested in this project, "The more we read about Panzi and the work Dr. Mukwege is doing, the less we felt that we could not help." In fact, Tom shared that the best email he received all year was the one notifying him that the supplies had arrived safely to their destination. He explains this large-scale international transportation project in the video below.